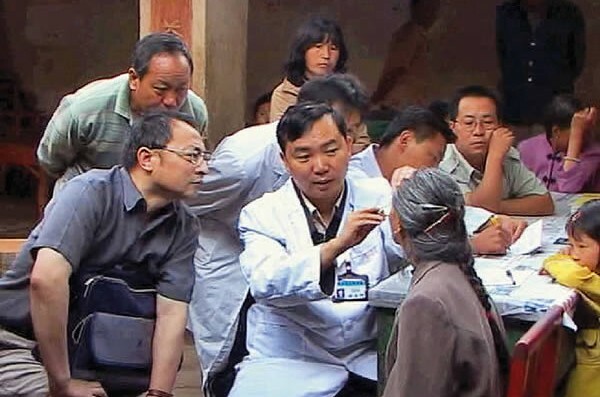 Cataract screening in a village in Xiangyun. CHINA. © Gu Zongzu/ORBIS. The Chinese edition of the Community Eye Health Journal aims to ensure that up-to-date and relevant eye care information reaches rural primary health workers who have poor access to eye health information in China. The journal is also sent to China’s policy-makers and leaders in prevention of blindness. The Chinese edition is currently under re-development. Sign up to the CEHJ email list for news and updates on all our editions. China is home to one of the world’s largest populations of blind people, an estimated 6.6 million people1. The main cause is cataract; trachoma is still endemic in some provinces, and children go blind through Vitamin A deficiency and measles. Lack of adequately-trained eye care personnel is a problem, combined with their uneven distribution – most work in cities and major centres, while about two-thirds of the population is rural. A reader survey carried out with the 11th issue of the Chinese edition received 500 responses and most people felt that the Chinese edition is useful for primary eye health workers, and they were keen to see it continue.